Notasulga Volunteer Fire Department & E.M.S. 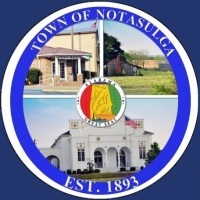 The Notasulga Volunteer Fire Department & EMS, under the direction of the Fire Chief, is charged with the responsibility for fire suppression within the Town of Notasulga. They also provide rescue services and make inspections of existing buildings as part of their Pre-Fire Plan Program. This program familiarizes the firefighters with the floor plan and potential hazards in an existing building in case of an emergency. The NVFD & EMS is committed to protecting life, property, and the environment, and to providing progressive services that meet the needs of the community. The Notasulga Fire-EMS Department provides fire protection and EMS services for approximately 100 square miles in Macon, Lee and Tallapoosa Counties.